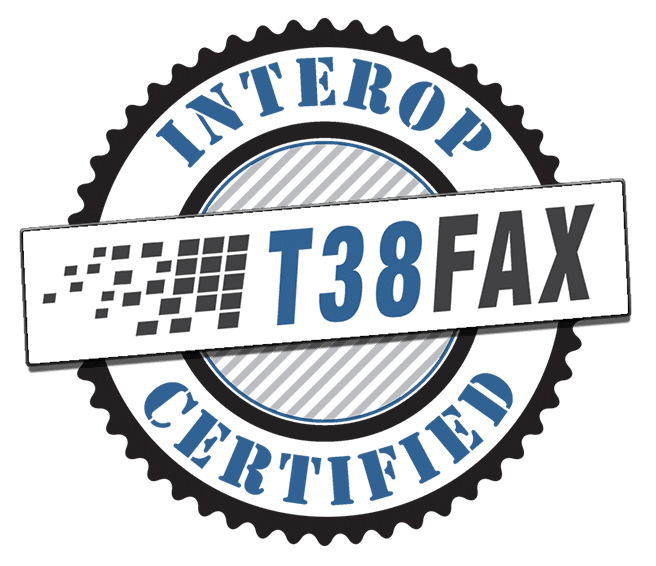 If you have a product that supports T.38 Fax over IP (FoIP), your customers need a SIP trunk vendor that can provide reliable T.38 termination and origination. Fortunately, we sell SIP trunks whose sole purpose is to offer reliable fax transmission. By pairing your equipment with our service, your customers will have the reliable FoIP solution they need. Joining our other T38Fax Partners is easy! At T38Fax, we are committed to ensuring our Power-T.38 service interoperates with software and equipment that offer a commitment to quality and reliability. Our interoperability program includes rigorous testing of your equipment with our service to ensure seamless integration. Upon successful certification, your customers will have the tools to easily connect to our service and achieve reliable faxing. Happy Customers! – You have a reliable SIP trunk vendor to recommend to customers. No Support Headaches! – We post a knowledge base article on our website with configuration guides for your equipment so your customers can get up and running quickly and easily. In the unlikely event of an issue, our experienced support engineers will help them troubleshoot. Free Publicity! – We publicize your successful certification on our blog. Are you ready to become an Interop Partner? 1) You conduct testing using the relevant plan and complete the test report, with support from our engineering team. 2) You submit the test report to us for verification. 3) We review the results to verify that requirements have been met.